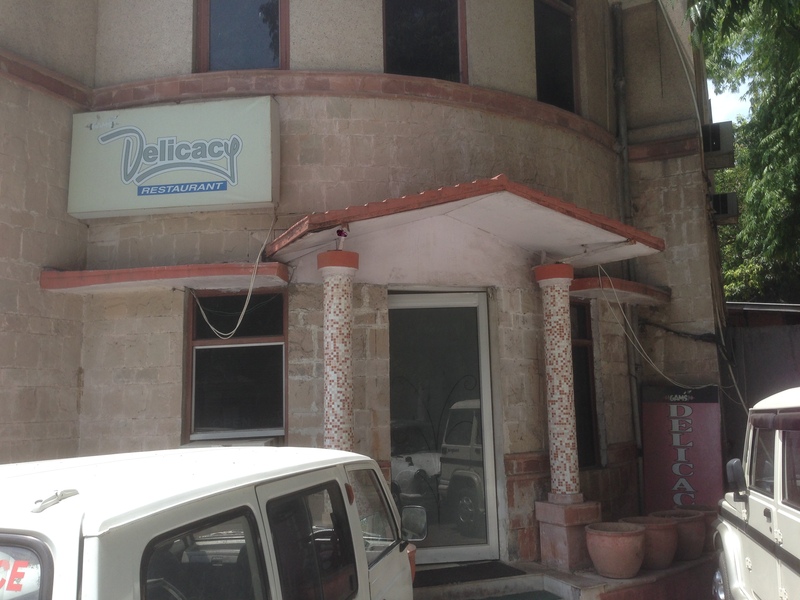 Simple eatery with YUMM & authentic home like food & outstanding warm service. Disclaimer: All restaurants / eateries reviewed by YUMMRAJ were visited by YUMMRAJ himself & he has paid for the full Bill & tips also. http://www.yummraj.com does not have even one featured / sponsored reviews. YUMMRAJ believes in going to a restaurant in anonymity, as a normal guest, experience everyWe & thing & give a honest account of the same to you. As the name suggests the restaurant run by. 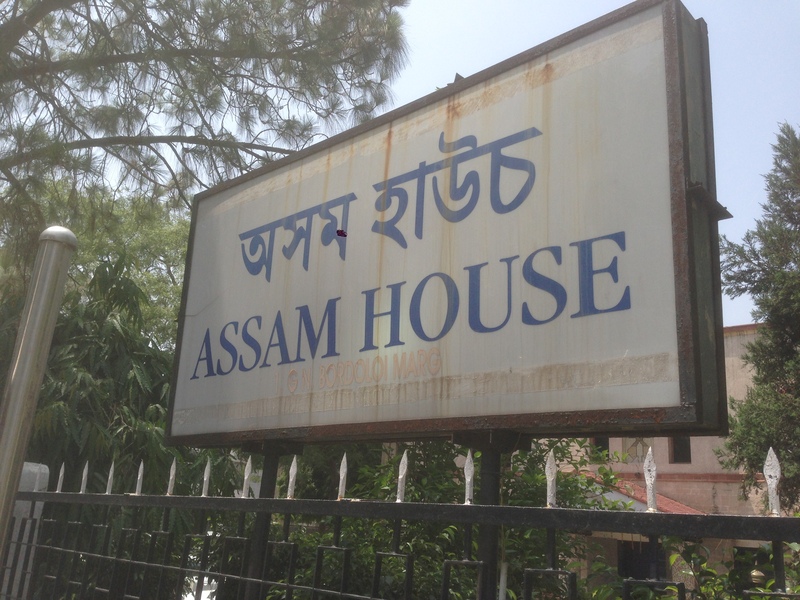 Is located inside Assam house, not Assam bhawan that is maybe a bit more renowned. The restaurant run by Assam Bhawan is Jakoi and it has quite a ‘professionally managed restaurant’ feel to it. The Assam house restaurant is however is more like a canteen. 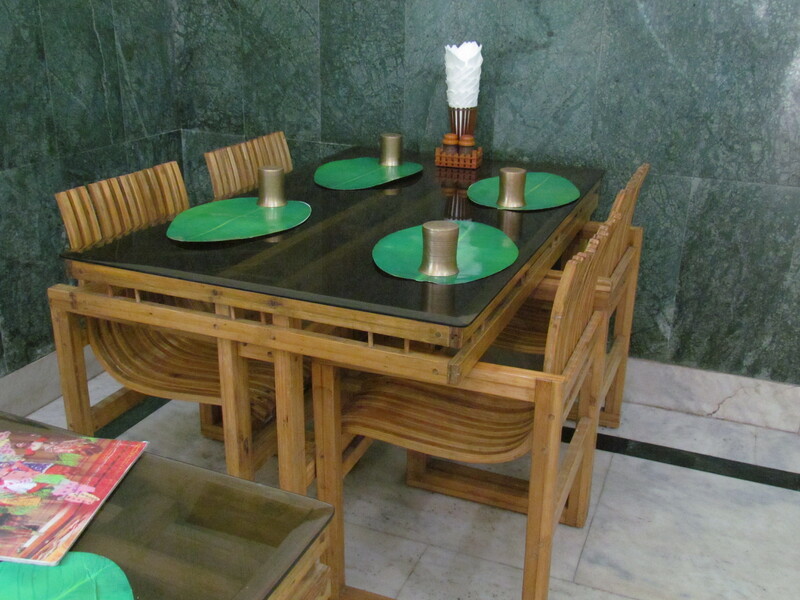 It has simple interiors, a lone Assam traditional artefact hanging somewhere, simple and nice looking Wooden chairs and Tables. People coming in alone were sitting with unknown people in a long table. Families got their own tables. 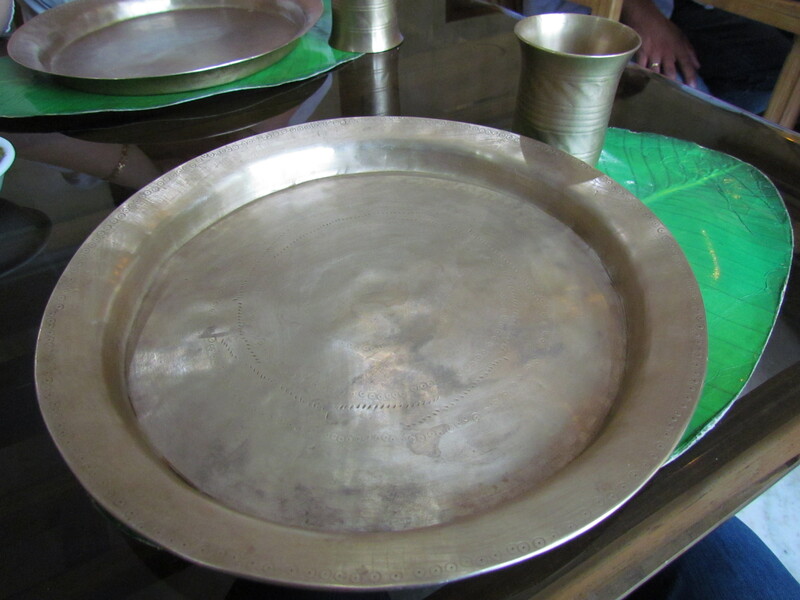 Food was served in traditional mixed metal heavy utensils – bell metal. The table mat resembled a banana leaf. 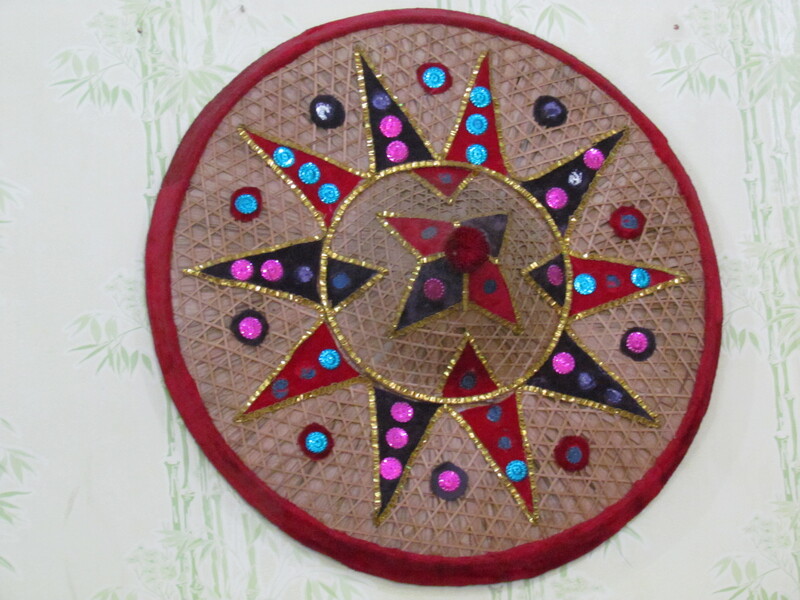 Most guests were eating with their hands as is the Tradition in Assam. Spoons were being provided on request. 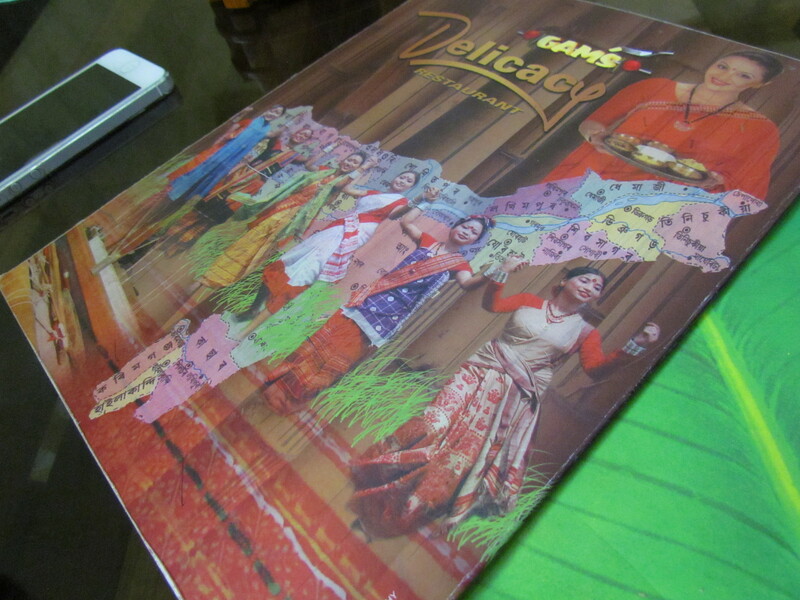 The menu card was simple 3 page one, with loads of very interesting options. We found it quite challenging to order as there were too many good dishes to choose from. A good problem to have. The waiting staff was not the ‘professional’/ extra sweet type. He was a normal Assamese guy who treated us as warmly as he wud have say treated us as a guest in his house. He was very conversant with all food options and was pretty efficient in service. He gave some good recommendations as well. He added tremendous value to our whole experience. One hardly comes across such guys in Delhi any more. Food was super. Loved the way the food was made so simple yet so delicious. We had the choice to go for unlimited thali and side dishes along with that. We did not do that and ordered plain rice and sides. In hindsight thali was a better option coz it already had rice, pithika, daal, Assamese veg curry and some more things. It wud have been a good way to taste many things without going excess on quantity. 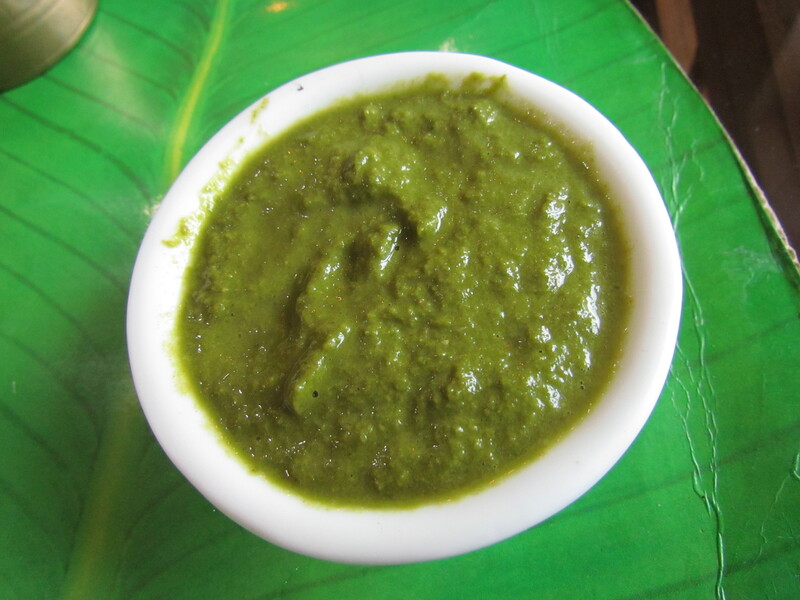 excellent green chutney served with the food. textured, pungent and nice. 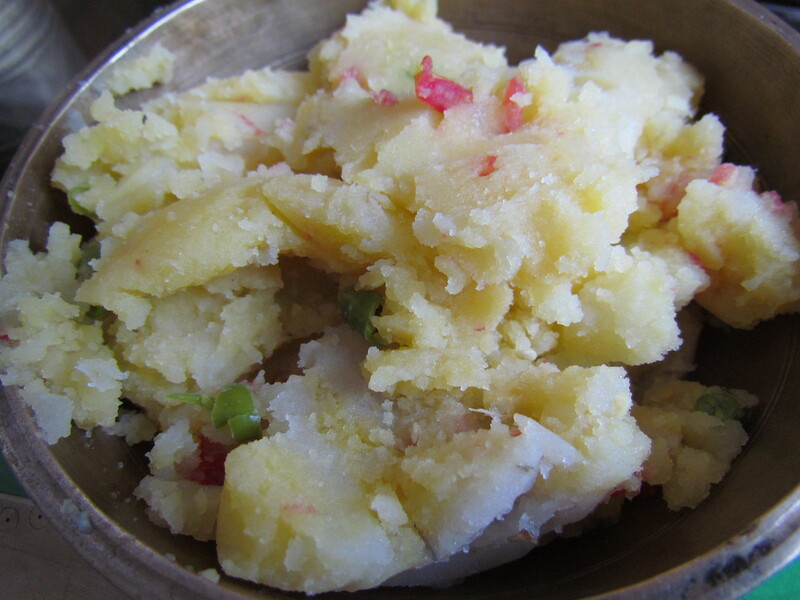 We started our meal with pithika – mashed potato with super thin juliennes of green chillies, grated ginger and super tiny tomato pieces to give that tinge of sour. The first two bites were ok and we concluded that the pithika at Jakoi was better. A few bites later we realized the taste was growing on us. Finally we really liked it. Rate it 4/5. 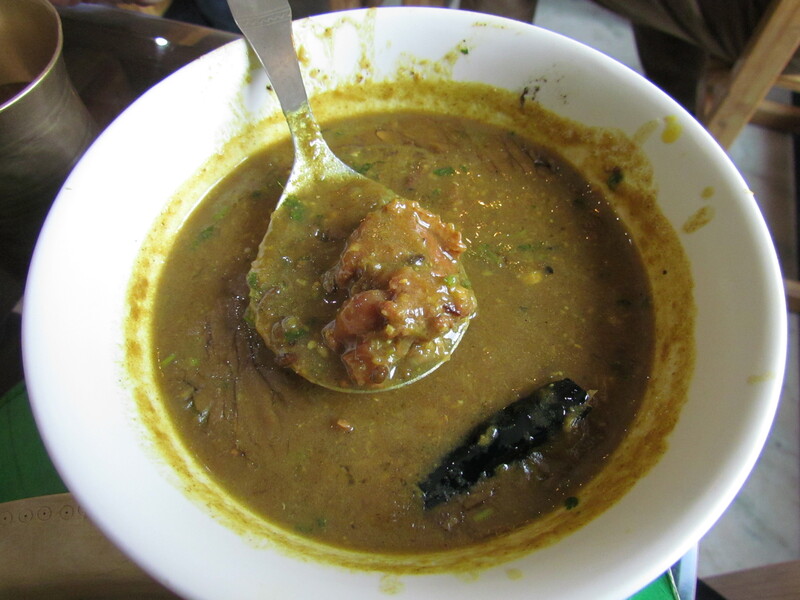 The next dish was duck meat with black dal – whole moong dal cooked with spices with pieces of duck meat in it. We loved the duck pieces as they were soft, succulent & juicy as well. Rate the meat 4.5/5. 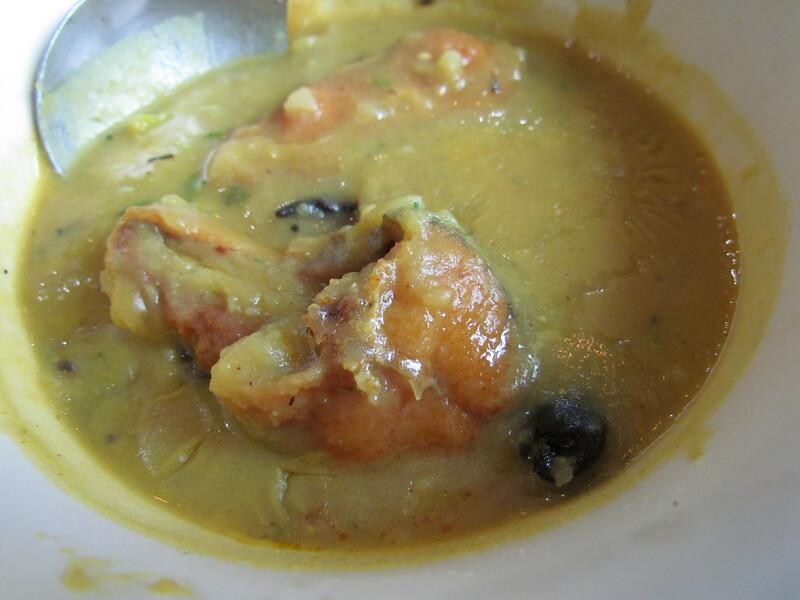 The dal was directionally nice & wud have rated this 3.5/5 but it had excess salt. Could not enjoy the dish much because of excess salt in it. Rating of dal goes down to 2.5/5. Overall rating averages out to 3.5/5. 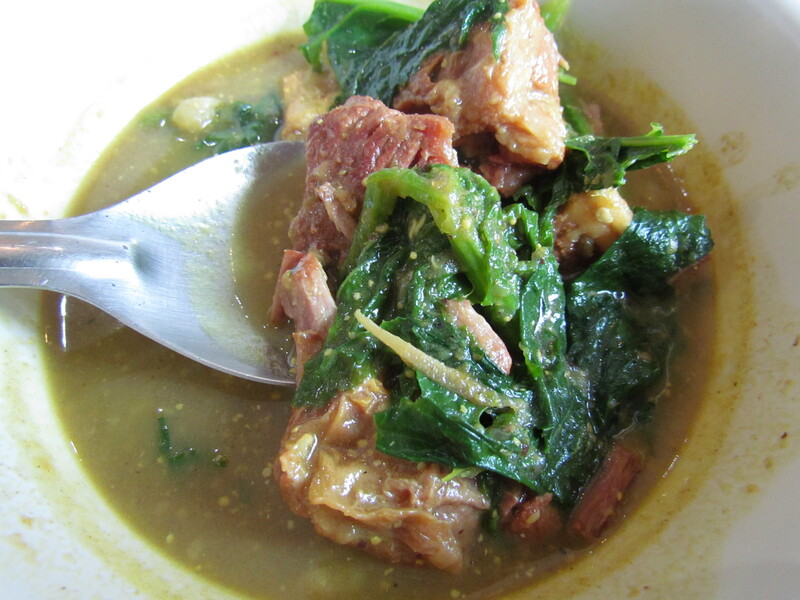 Best dish for the afternoon was Pork in lai shak – pork with greens. 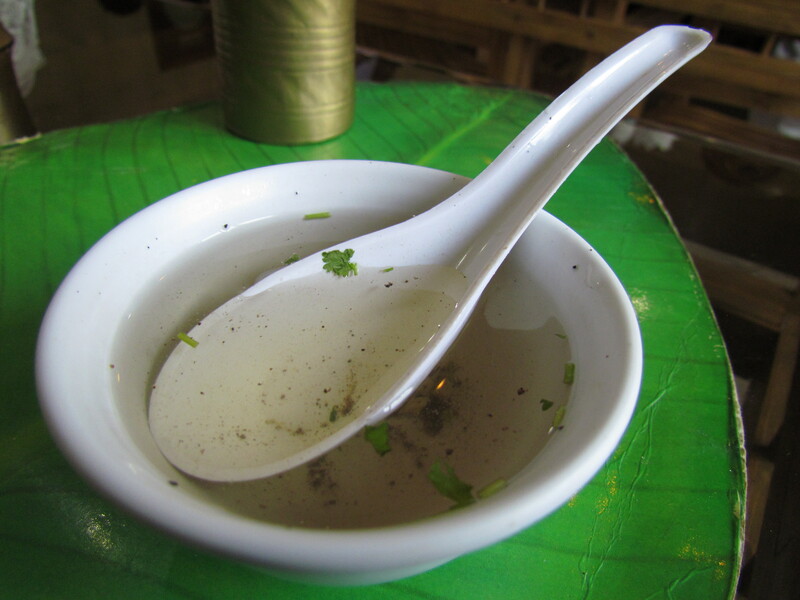 It was Pork in water thin gravy with greens was extremely delicious despite not having too many spices. Rate it 4.5/5. 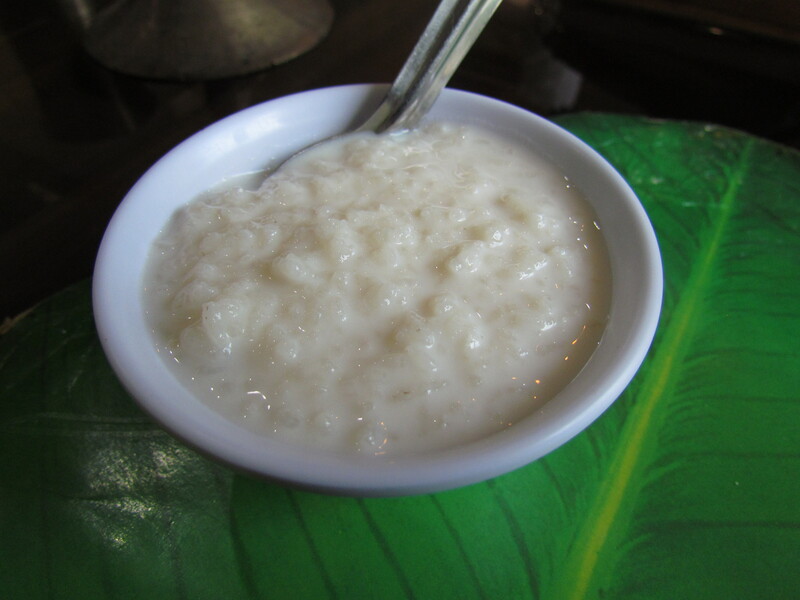 We ended the afternoon with kheer – milk & rice cooked together. This was dissappointingly average. More water less milk, average texture and average taste. Rate it 2/5. Avoidable. I wud surely love to go back here. How about u? 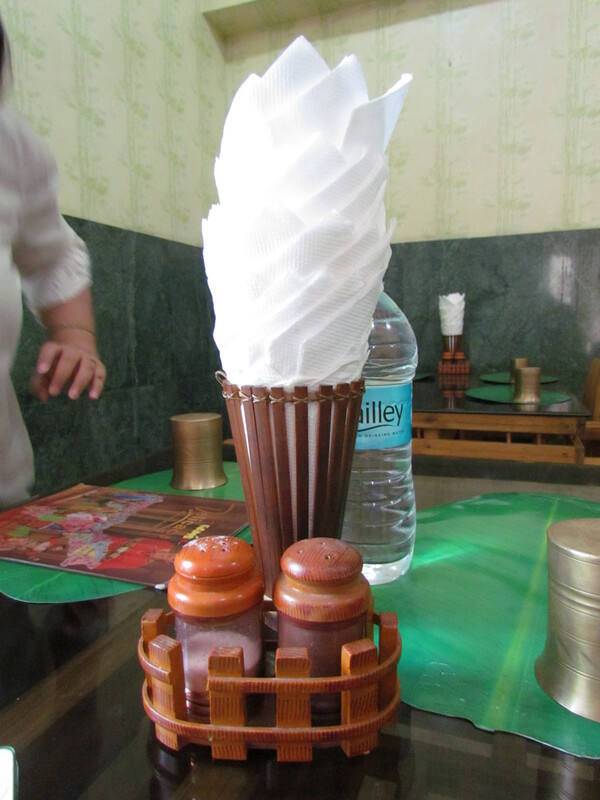 Seven of us, five adults, a kid and a baby, visited the restaurant on September 7, 2014. We ordered six veg thalis (Rs. 120/- each), a plate of burali fried fish (Rs. 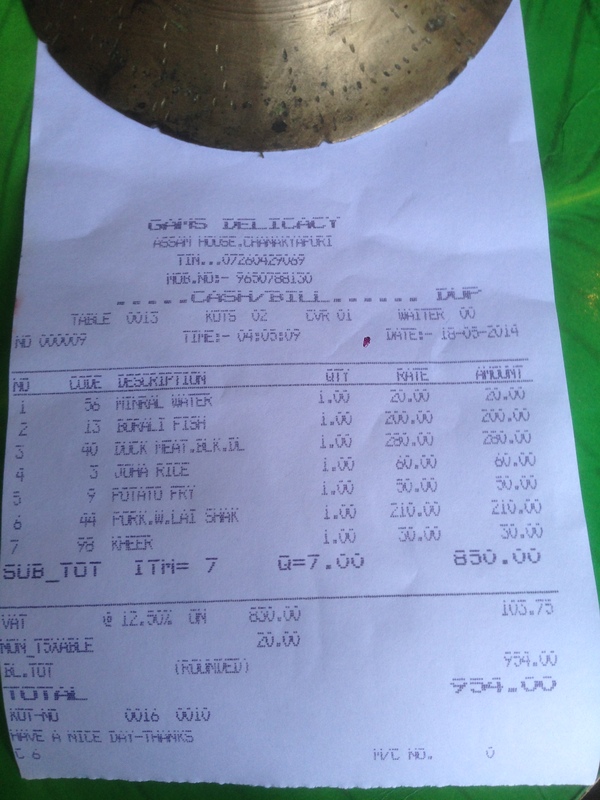 140/- for two pieces), a plate of rohu fried fish (Rs. 120/- for two pieces), a rohu curry in mustard sauce (Rs. 160/- for two pieces), fried pork (Rs. 190/-) and a sour pork curry (Rs. 230/-). Additional helpings of rice and dal come free with the thali. The food was uniformly good. The ingredients were fresh, lightly spiced and very reasonably priced. There were no complaints. Everyone agreed that the food was much better than at Jokai the better known and much costlier restaurant at the Assam Bhawan on Sardar Patel Marg. thanks so much for sharing ur view, Anil. Excellent review, YummRaj! Do try their superlative fried pork. Bathed in onion and light spices, it’s beautiful. The Assam House on Bardoloi Road was being reconstructed. I thought that the restaurant had shut down. Is it up and running? Hi anil, sorry, I hv no idea on that. Hv not been recently. Jakoi seemed to b open though.